What a day it was, and such views! And here’s a photo from this Saturday just gone (14th January) which sums up the sudden change in the weather. Finally, the cold front from Greenland that has been afflicting much of Europe is advancing on Spain. 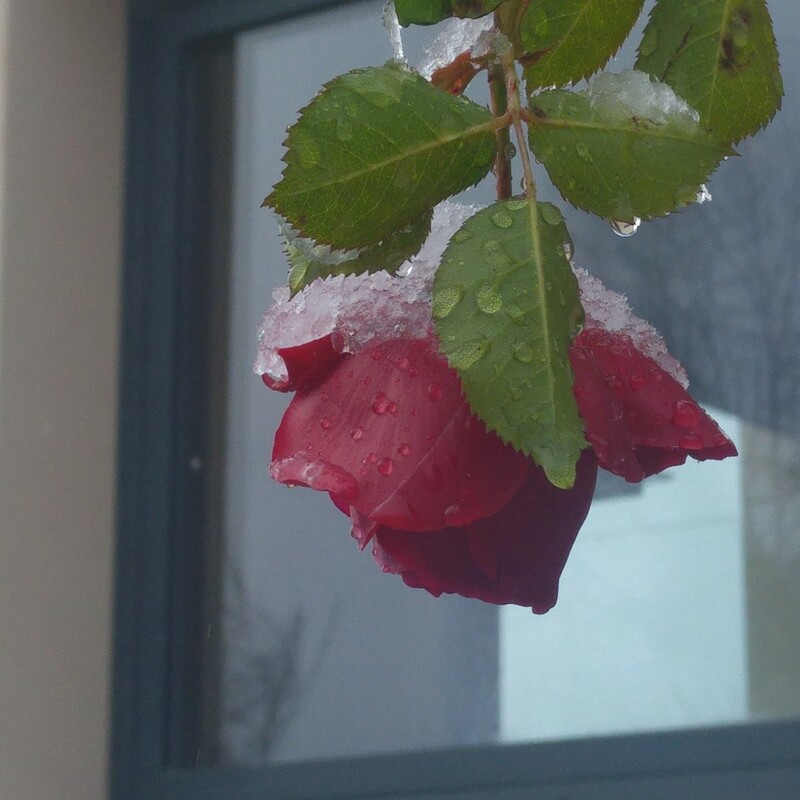 The last rose of summer still clinging on outside our kitchen window is now bowed beneath a dollop of snow, finally capitulating to winter’s onslaught. Here we are at 700 metres above sea level in the heart of the Cordillera Cantábrica mountains and even at this height our dusting of snow was light and short lived, coming and going within the day. In the high mountains though, well above 1,000m, the snow laid thick and has settled. At last the ski stations have been able to open their slopes and excitement is building amongst the winter sports enthusiasts. While I am not a fan of skiing myself (with good cause!) 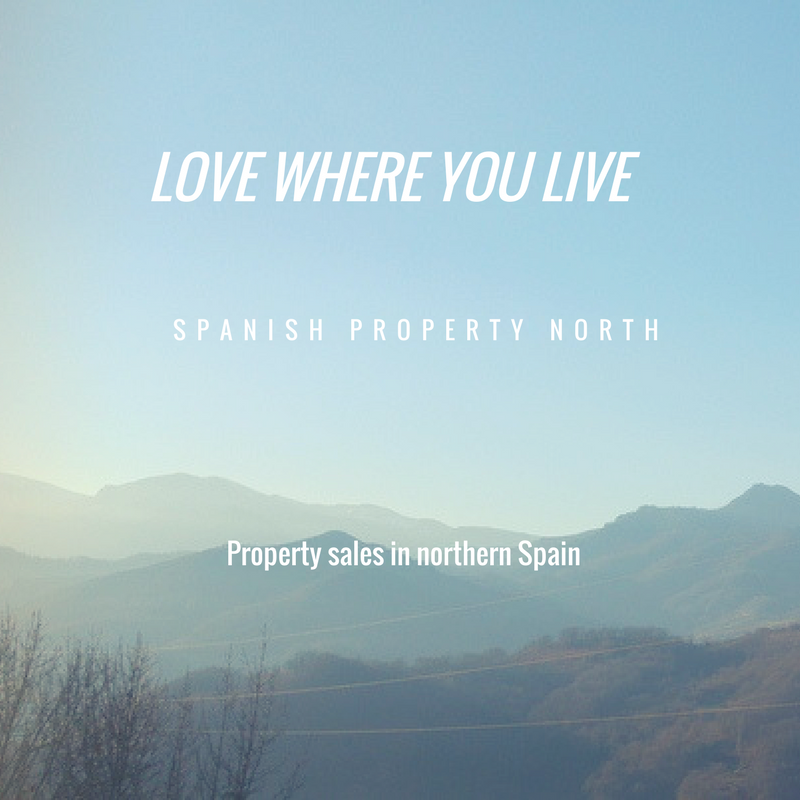 I nonetheless recognise the great good luck we have to live within an hour’s drive of the slopes and with off-piste cross-country skiing and sledging opportunities within even closer reach. My plan for this winter is to take my seven year old for skiing lessons and to get out and enjoy the white stuff myself in a more sedate fashion suited to my more advanced years and decidedly less rubbery bones – I’m thinking snow-shoeing. I’ll let you know how it goes!